Hi Everyone, Spring is finally in the air, and we have just a few short weeks until Purim! Now is the time many of us are busy coming up with costume ideas and themes for the shaloch manos (gifts of food) that are given out on that day. But besides that, it is a good time to brush up on the Purim story and the underlying themes of the holiday. To refresh your memory, King Achasverosh and his wicked advisor Haman agree on a plan that will have all of the Jews killed. The King has a new wife – Esther – with a mysterious background (she is Jewish but no one knows). Esther’s uncle Mordechai tells her she must plead with the King to save the Jews, but she is scared, and he tells her she was put in this position to help the Jews, and she risks her life to plead for her people. The King listens to her and the Jews are saved, and we commemorate this joyous time every year. Unlike many Biblical stories, God is not really mentioned much. The name Esther gives a clue, since in Hebrew it means hidden. We say that often in this world God has a Hester Ponim – a hidden face. But as in the Purim story, if we look closely we see that God is orchestrating everything so meticulously behind the scenes. There are no coincidences, and God puts everyone into their situation for a purpose. It is up to us to discover our purpose and to do the right thing, without fear. May we all see great joy in our own lives by choosing to do the right thing, even when it is hard for us. This entry was posted in News on March 7, 2016 by Tuvia Hoffman. The Happy Month of Adar! Hi everyone, hope you all are having a great February! 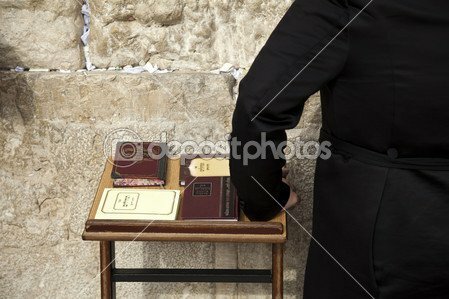 In the Hebrew calendar we are in the month of Adar. 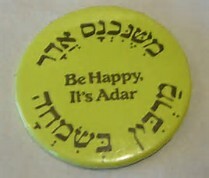 Adar is a very special month, and we say “when Adar comes in our joy increases”. And similar to February which has a leap day, every so often in the Jewish calendar Adar has a leap month! So this year we have Adar I and Adar II, and since Purim is our Adar holiday it falls in Adar II. If we are going to have a leap month, how lucky are we that we get to have 2 Adar’s, the time of rejoicing and happiness. I hope everyone takes some time to remember to be grateful for all of the good things in our lives, and therefore will remember to smile and be happy! This entry was posted in News on February 11, 2016 by Tuvia Hoffman. Hi Everyone! As some of you have noticed, our website has been offline for several weeks. We were hit by malicious hackers, and have had to start from scratch. So anyone who had signed up and was approved before, I’m sorry to say, you need to sign up and register again. But life is all about moving forward, so instead of dwelling on the past, we’re excited to relaunch the website and get everything up and running again! To recap the rules, you must have an address in the United States for us to approve you, we do not mail outside of the United States at this time. We are an organization that is family run and operates on a strictly volunteer basis. We are a recognized tax deductible organization, so if you’d like to make a donation to help us keep the site running, that would be very much appreciated. We pay for all of the books, shipping, and web services out of our own pocket – donations will help ensure this venture can thrive. Our goal is to help connect Jewish people with authentic Torah Judaism, something that unfortunately many of us have grown up without even if we were members of a Reform or Conservative synagogue. We do not proselytize, nor do we think anyone needs to convert to Judaism in order to live a good life, however for those of us who were born into Judaism there is so much to learn and explore that can greatly enhance your life. Judaism is not an all or nothing responsibility, just by learning a little at a time and taking on one mitzva at a time you can see amazing changes for the better in your life. We are here to help with any questions or concerns you might have. We hope this site and this organization can be of help to as many of you as possible, and let’s make this a great new start in 2016! This entry was posted in News on January 26, 2016 by Tuvia Hoffman. This post is just a test! This is our first blog post. This entry was posted in News on November 16, 2014 by Tuvia Hoffman. Hope everyone had a great Hannukkah!